Indeed, an Orbital Drop Shock Trooper is still a soldier, though assigned to the specialized duty of jumping off of capital ships IN ORBIT and into the middle of a warzone. 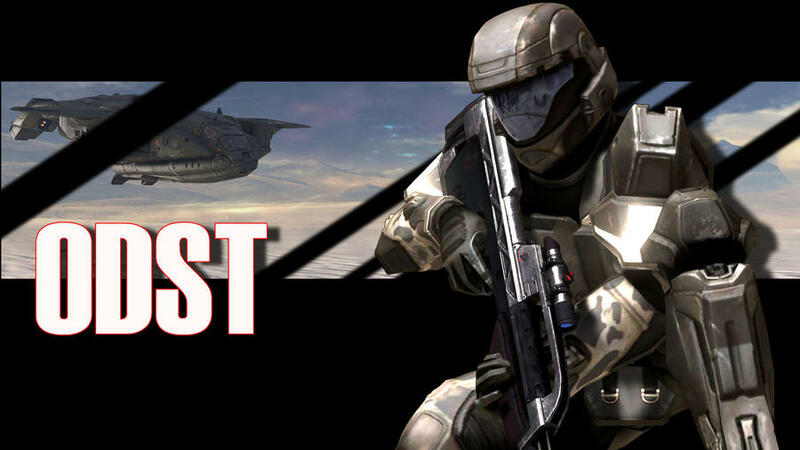 ODST armor is like the rest of the soldier armors. Spartan armor on the other hand is actually a powered suit, with armor. So comparing a Spartan of any kind in their suits to any soldier, and you would see a considerable difference in bulk and size. John-117 for example is 7feet 2inches and 1400lb in his armor, compared to normal troopers who are up to around 6 feet and up to around 200lb with armor. 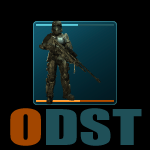 I'm rather impressed with your knowledge on ODST/Spartan comparisons. It's not impressive. Got that information from 2 minutes after searching for Master Chief and ODST on the Halopedia. Though, already knew that John was freaking heavy because it was mentioned in one of my copies of the first halo trilogy games. Oh, you searched it. ok then lol. Thought my halo fanmanship was about to be tested , oh well. so i found this picture of a spartan, thought it looked call and couldn't help myself.